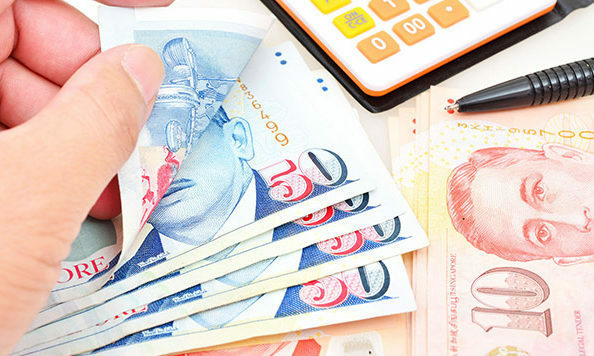 Following the recent Budget 2018 speech, Inland Revenue Authority of Singapore (IRAS) has released a draft e-Tax Guide. The guide gives more details over impending measures surrounding GST hikes and implementations on digital services. Downloadable digital content (e.g. downloading of mobile applications, e-books and movies). Subscription-based media (e.g. news, magazines, streaming of TV shows and music, and online gaming). Software programs (e.g. downloading of software, drivers, website filters and firewalls). Electronic data management (e.g. website hosting, online data warehousing, file-sharing and cloud storage services). Support services, performed via electronic means, to arrange or facilitate a transaction, which may not be digital in nature (e.g. commission, listing fees and service charges). Both Netflix and Spotify declined to comment on the new GST charges when contacted by Marketing. The new measures also encompass the supplies of digital products, subscription-based and licensed content, as well as support services to arrange or facilitate, via electronic means, the provision of transactions which may not be digital in nature. GST tends to have a suppressive effect on consumption, which would naturally impact the top lines of advertisers. “We have to be more persuasive in our messaging to drive brand salience, creating compelling reasons for consumers to spend in their favour. Brands will have to invest through the funnel to enhance the user experience and make the consumer journey more meaningful,” Somanathan said. Consumers on the other hand, will likely be the ones bearing the increased subscription costs for overseas content. Despite this, Somanathan said that there is some level of price elasticity in the ecosystem, as such, consumers might still take up the increase in the content cost and look for savings elsewhere. Because GST is typically always passed on to the end consumer, the move is also consistent with the objective of GST to tax “consumption” rather than “income”, Somanathan added. This in the process encourages savings and investments. “The challenge for the overseas digital service providers now is to see if their service offering and the price of the product is competitive enough to pass on the GST to their consumers or reset their pricing strategy to maintain the current pricing, inclusive of the GST,” Somanathan explained. Agreeing with Somanathan was Jason Tan, head of strategy for Singapore, Zenith. Tan explained that the impact would be minimal to advertisers because most of the organisations that provide digital B2C services generate revenue from subscription and products, and not from advertising. “For organisations with an advertising offering, it will still be far easier to shift the GST cost to consumers rather than to increase advertising prices and lose competitive advantage,” Tan said. Another key distinction about digital services is that a large proportion of transactions are usually micropayments below SG$10. According to Tan, this means that the actual tax levied will be less than SG$1, which is essentially below the “pain threshold” of majority of consumers. “As we’ve seen in the early days of GST implementation, consumers were highly sensitised to the tax and either rushed to purchase before GST came into effect or held off consumption briefly,” Tan said. I believe we will see a similar scenario play out where the organisations shout about ‘absorbing GST’ in 2020, but very quickly include GST in the pricing of their services again. For Sunil Yadav, president of Amplifi Asia Pacific, GST would not likely impact consumer behaviour. This is because there is already a precedent of consumers paying GST on all physical goods that they purchase locally. Moreover, the government also made the “right move” by giving businesses and consumers advanced notice about the upcoming implementation which is two years from now, Yadav added. Echoing the sentiment is David Haddad, managing director at IPG Mediabrands Singapore, who added that the GST on digital services will also not likely have a major impact on paid subscriber numbers or the service provider’s cost of content or revenue. Ultimately these services exist to satisfy a consumer need which isn’t about to dry up due to an incremental yet nominal charge. All industry players who spoke to Marketing agreed in differing levels that the move from the government was something which was not surprising and one to be expected. Haddad said while nobody likes the sound of paying more taxes, or in this case having to pay GST for something that previously was GST exempt, the move was a “fair and reasonable” one. This is given the mass adoption of these digital economy products and services. For Amplifi’s Yadav, the decision to implement GST is an unsurprising one as the government had been exploring this option since the 2017 Budget. As more consumers make purchases online as well as subscribe to digital services such as Netflix and Spotify, it is also “inevitable” that GST is also levied on overseas purchases. This is to make it fair playing ground for domestic suppliers who are competing against such overseas providers. “The government’s new policy around charging GST on digital services if consumed by Singaporeans is therefore timely and relevant, and companies affected would have to consider that and their pricing strategies for their services,” Yadav explained. Agreeing with Yadav was OMG’s Somanathan, who added that while the move could create short-term pains for consumers as well as overseas digital service providers, it does level the playing field for the local players of the digital economy who are already paying the GST. “In the long run, this development aims to strengthen the local digital economy, which will generate jobs and improve the local standard of living,” he added. Meanwhile, Zenith’s Tan is of the view that as digital transaction and e-commerce become a bigger part of the wider economy, it was a matter of time before the government started taxing digital services. “The actual tax revenue will likely be small at the beginning and might help level the playing field slightly between foreign behemoths and the local monopolies (for example in video content streaming between Netflix and StarHub/Singtel),” Tan added. Technology integrator EngageClick has launched a new consumer personalisation platform, allowing for predictive and personalised a..
Dunkin’ Donuts’ accidental racist slur? Dunkin' Donuts is copping flak for an ad it ran in Thailand deemed racist by many. Was it an unforgivable racial slur or a case of..
A good deed can go a long way. ..